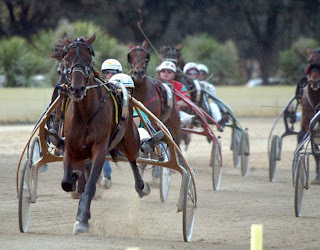 One big winner and a slew of participating contenders in exotics made up the first two days of the holiday weekend of harness racing. The horses-to-watch list was filled with in-the-money finishers this week—in fact most of the horses listed were first, second or third. The biggest event of the weekend was the Metro Stakes for frosh colts at Mohawk and for the third-straight year we handed readers the winner. On Aug. 31, however, the public overlooked the winner as Boomboom Ballykeel won and paid $23. The favorite, Western Vintage, was second and the exactor came back $66. There was a two-sulky careening in the stretch that caused an opening for a 45-1 shot to finish third. Anyone playing a triactor with an “ALL” for the third spot (a play we never endorse) lucked into a $1,318.80 triactor. In the Metro Consolation, our choice, Somewhere In LA, closed the favorite but was not able to negotiate a second-over trip and finished fifth. One of the colts we liked last week in a Metro elim, Carracci Hanover, finished second in this consolation at 36-1, paying $17.90 to place and $8 to show. In the Simcoes at Mohawk we were third with High Bridge, who also closed a favorite. The horse we thought would be the public choice, Lindys Tru Grit, won. There is a case where finding the value far after we hit our deadline changes the wager. Oddly enough, “Grit” paid $9.20. Sheesh. The second Simcoe was a surprise, as we highly regarded Bluto and loved him at post time odds of 6-1. But a tough trip found him getting the lead on the outside at three-quarters, only to hang and finish fifth. The favorite won. Both of our suggestions in the frosh-filly final at Mohawk were off the board. Ali Blue was fourth and Bahama Blue was eighth. The huge favorite won the She’s A Great Lady Final. In the Canadian Pacing Derby, A Rocknroll Dance (2-1) did not bounce, winning sternly against a strong field where Sweet Lou (one of our choices) made an unusual break and Pet Rock finished off the board. The Meadows resumes live racing Tuesday, Sept. 3 after a two-week hiatus for track restoration. Major improvements to the racing surface feature restored banking of turns and “a limestone-silica composition expected to be more resilient in rain and snow,” according to track authorities. Also, the Pennsylvania oval offers a new racing schedule. With only two exceptions, the Meadows will offer exclusive day racing through the end of the year with a 12:55 p.m. post time for each card. 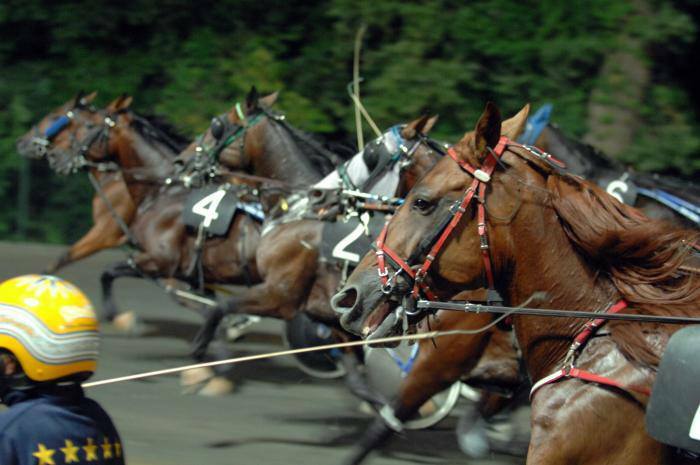 Bettors will also notice other changes, including 10-horse fields. The track will offer as many as eight races per week with 10-horse fields, the outside horse leaving from the second tier. The Meadows’ live racing program in September includes a rich menu of stakes highlighted by the $1.2 million Pennsylvania Sires Stakes championships on Friday, Sept. 13. The program will include a $250,000 championship and a $50,000 consolation for each of four divisions for three-year-olds. 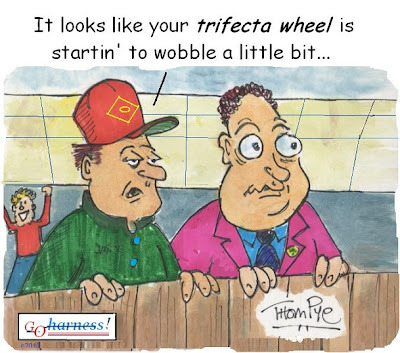 First post Sept. 13 is 6:55 p.m.
Rosecroft Raceway will open for another meet. The first program is set for Sept. 14. 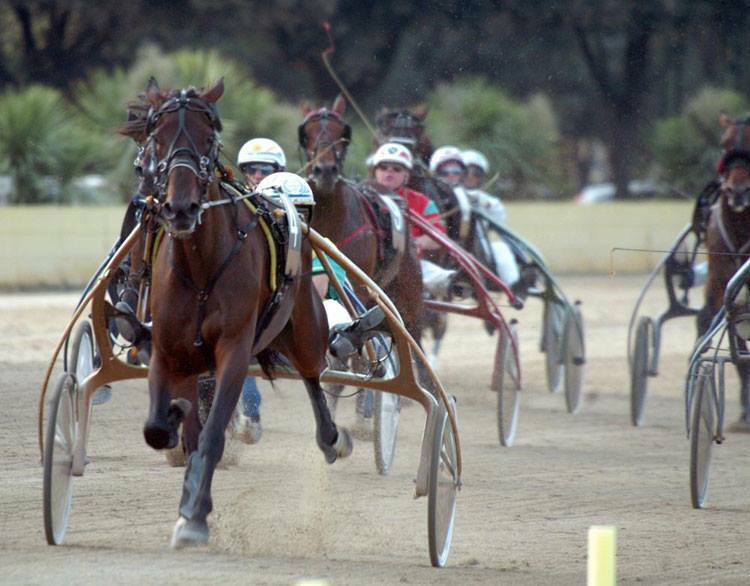 Live harness will be offered every Tuesday and Saturday evenings with a 7:25 p.m. post through Dec. 21. Colonial Downs, the only one-turn mile in harness racing, begins a 24-program meet on Sept. 18, racing through Oct. 27. Post is at 1 p.m. on Wednesdays, Thursdays, Saturdays and Sundays. 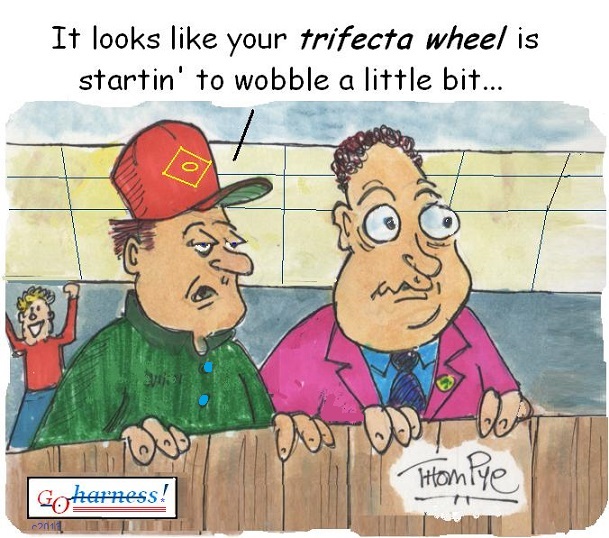 Top events for the meet include the Horace Martin Memorial, the Good Ole USA, the Parkers’ Memorial, the Juniors, Virginia Harness Horsemens Association miles, the Delmarva and the U Gotta Win One Now.